The woman charged for her role in the shooting death of Limon police officer Jay Sheridan plead guilty to a class 4 felony of reckless manslaughter. Hasty faced felony manslaughter charges for her alleged failure on March 9, 2011, to warn officers that her common-law husband, Dennis Hasty, was armed and hiding in a bedroom when officers arrived to arrest him at the couple’s Limon trailer home. The incident ended in the shooting death of a six-year veteran of the Limon Police Department, Jay Sheridan. 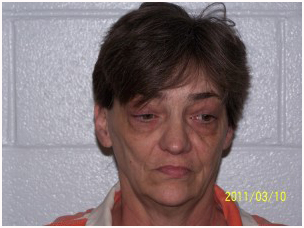 Jackie Hasty entered the plea this morning, October 12, 2012 in a deal with prosecutors. Complete coverage of the plea deal will be in this week's Limon Leader.